Nestled amidst the rugged terrain of Napa Valleys famed Stags Leap Palisades lies the piece of heaven that is Robinson Family Vineyards. Our boutique winery and rolling vineyards are set within a lush, private valley. All of Robinson Family Vineyards small production wines are crafted with passion, care and precision that comes from family ownership. We offer personal tasting and estate tours by appointment hosted only by family members. Come join us as we share our story and passion for the Napa Valley. Private Tour and Tasting with the family in the heart of Stags Leap District. 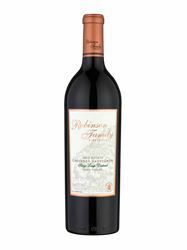 To join the wine club, visit www.robinsonfamilyvineyards.com or call 707-944-8004.